Are the buildings large versions of the flowers, or are the flowers small versions of the buildings? Cool picture, from an interesting point of view. Great idea! It's a whole skyline of flowers. Great photo. 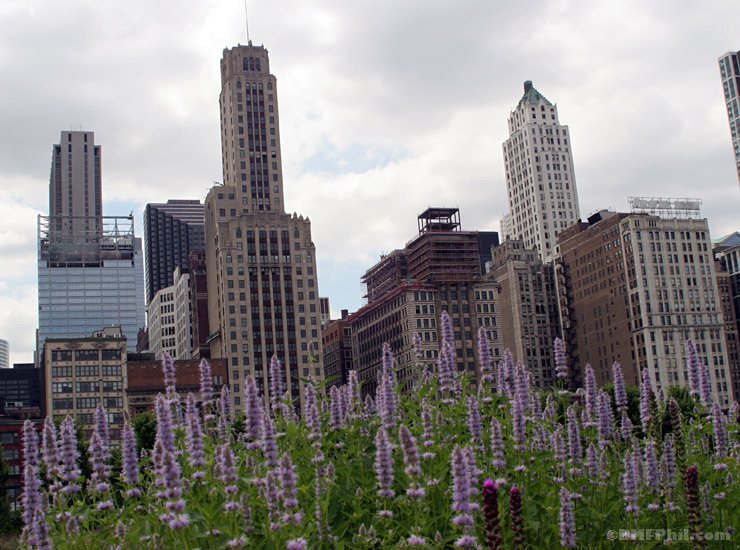 The flowers look like their backs are to us, and they're standing at attention, solemnly watching the buildings. Wonderful juxtaposition of nature and city!